Did you know we make a wide range of sausages with different flavour sensations to tempt and tickle your taste buds? and many others? 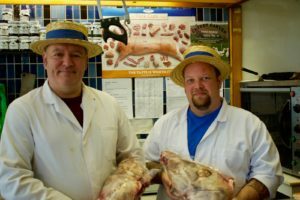 Don’t get us wrong, we love the old traditional pork sausage, which is still a firm favourite with many of our customers. But lately, we’ve been experimenting with other flavours and seasonings which have proved very popular. The Chipotle and Jalapeno have been a real hit with many people. So, if you want to try something a little different, why not give these alternatives a try? You may well discover a new favourite! 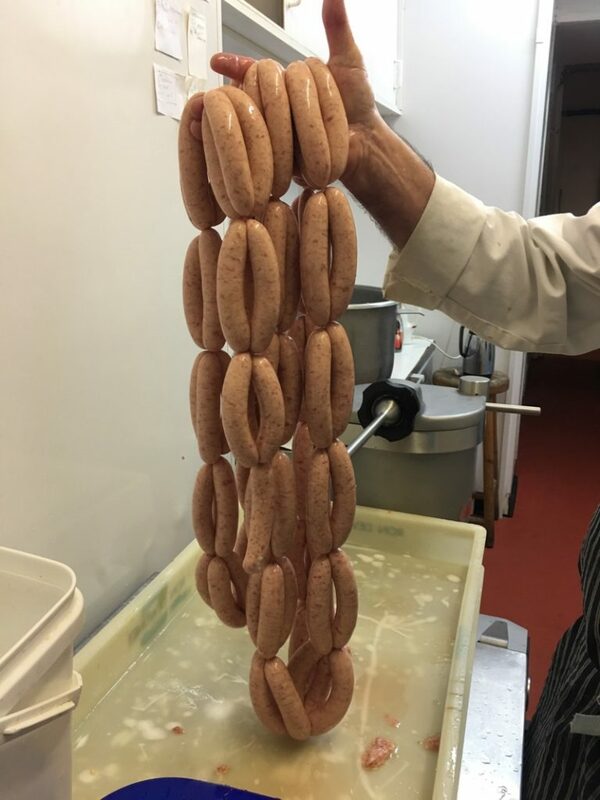 We make all our sausages on the premises using our trusty sausage making machine, see the video below. A favourite with our customers is our Old English recipe. These are nicely flavoured with some beautiful herbs. But our other sausages are great too! We think the best way to cook sausages is … slowly and gently. There are lots of ways to cook sausages but frying is still our favourite. It’s a great way to retain the flavour but you need to make make sure they don’t stick to the pan. The key is to moderately heat the pan, add a little oil and cook slowly, turning occasionally until they’re cooked all the way through. You need to be a little patient. If the pan’s too hot, they’ll burn; if there’s too much oil; they’ll be all greasy.We reckon around 20 to 30 mins, but you can take a lot longer if you turn the heat down to the minimum. Our Old English sausages are great as part of a weekend fry-up but they also work well in bangers and mash. Watch our sausage boy in action. It’s all in the wrist! Here they are. Come an get ’em!